Members from the Lombardo Homes Macomb-area sales team contributed to this story. Looking for things to do in Macomb County? We have you covered. From the state of the art recreation center, to a plethora of special events, Macomb County is always humming with activities for everyone to enjoy. Check out our list of the 5 best attractions, events and things to do in Macomb County. 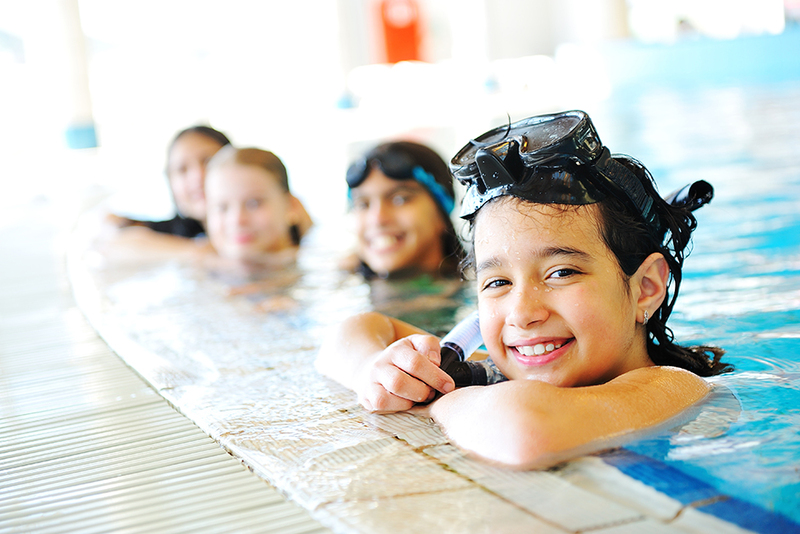 Swim, work out, and play at the Macomb Township Recreation Center. Really, we had to kick off this list with the Macomb Township Recreation Center – it’s too good not to! The rec center is a 92,000 sq. ft. facility boasting a fitness center, two gyms, three birthday party rooms, two aerobics rooms, an indoor playground, meeting space, a feature pool, an activity pool, a lazy river, a water slide, and a hot tub. The rec center offers activities including fitness classes, personal training, swim lessons, and programs for adults, youth, and seniors. Memberships and daily passes are available for Macomb Township residents and non-residents. Attend a special event hosted by Macomb Township Parks and Recreation. In addition to daily programs and activities at the Macomb Township Recreation Center, the Macomb Township Parks and Recreation department hosts a variety of special events throughout the year. Tons O’ Trucks & Wheeled Wonders, Rosco’s Picnic Palooza Series, Music in The Park, and Movie Under the Stars are all free events offered throughout the spring and summer. Get some air at Sky Zone. Sky Zone is the world’s first indoor trampoline park and calls itself “the inventors of ‘fun fitness’”. Sky Zone offers birthday parties, group events, and activities and programs on its wall-to-wall trampoline courts. It’s great for a family event or out-of-the-box date night! Sky Zone has locations in Shelby Township, as well as Brighton, Canton, Grand Rapids, Kalamazoo, and Taylor. Act like royalty at Tea Party Castle. Tea Party Castle in Shelby Township is perfect for the princess-lover in your family! Tea Party Castle makes guests feel like royalty as they choose a royal gown from a selection of more than 400 gowns and pay a visit to the Princess Parlor before an etiquette lesson, fashion show, dancing, and more, all led by a princess hostess. Tea Party Castle offers a variety of events including princess parties, customized parties, Girl Scout parties, mother-daughter teas, baby showers, wedding showers, red hat teas, and adult teas. Sip and sample at Wine of the Thumb Taste Fest. Who says kids get to have all the fun? Sunday, May 22 is the second Wine of the Thumb Taste Fest, held at the Packard Proving Grounds in Shelby Township. This wine tasting event is presented by The Thumbs Up Wine Trail and highlights wineries in Michigan’s thumb region. Each ticket price includes 12 tastes of wine, food, live music, and vendors. All guests must be 21 to attend. Know of other activities and things to do in Macomb County? Add them in the comments!